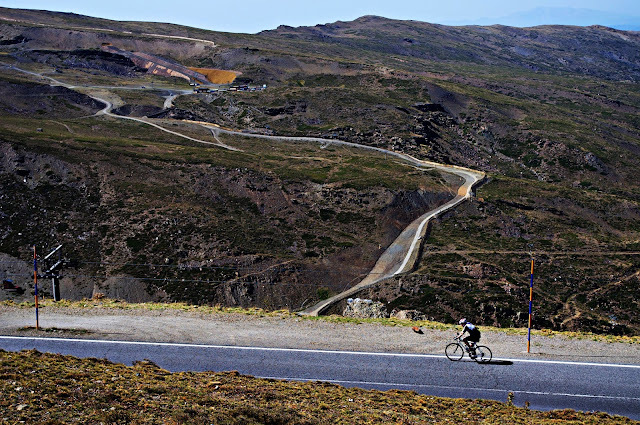 Road Cyclists, Bike the Summits of the Sierra Nevada Mountains! They're Waiting! Mad about Mountains, then Cycling Granada’s Sierra Nevada is a Must When you think about Southern Spain, what springs to mind are hot, sunny landscapes, sizzling fiestas and sandy beaches with the only chill coming from your cold cerveza. What a surprise it is when you arrive to see that Andalucía’s Sierra Nevada area is snow-capped most of the year! Such a stunning backdrop makes it a fantastic playground for road cyclists who want the good weather, great culture and some amazing altitude training. In winter months, it is possible to get out and do a few climbs on the bike in the morning and then go skiing in the afternoon! Or in the summer, head to the Mediterranean beaches after your morning ride. What better way to celebrate the diversity of this amazing area? The Sierra Nevada is the highest mountain range in mainland Spain and is an impressive backdrop to the city of Granada. Incredibly, it is the 2nd highest mountain range in Europe, after the Alps, due to its 20 peaks of more than 3,000m. What this means for us cyclists is that it boasts the highest paved road you can cycle in Europe! You can cycle from Granada at an altitude of 738 metres to a mind boggling 3,398 metres to the top of the Pico del Veleta climb. That’s 2,660 accumulated metres of pure climbing over about 40km (for all you gradient buffs that’s an average of 6.6%). We say “paved”, but the reality is after you reach an altitude of 2,510m at the Alto Hoya de la Mora, the road is in a rough condition due to the freeze-thaw erosion. The good news is the road is open all year around to a height of 2,510m which is a great cycling achievement. In the winter, above that, the snows block the road to the summit of Pico del Veleta. This is a favourite cycling peak, where you can really test your heart rate out getting to it. Every July there is a Fondo called the Subida Cicloturista al Veleta where hundreds of local cyclists do it! Truly inspirational, this peaceful escape to nature makes it almost a religious experience for the cyclist. 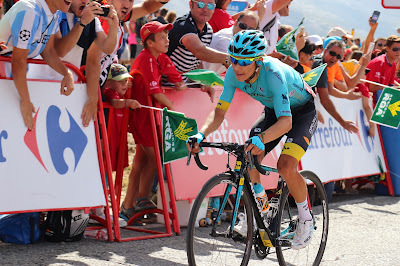 Which is why, through the years, these roads have been regularly featured in the professional race calendar with the Ruta del Sol (Tour of Andalucia) and of course, La Vuelta a España. 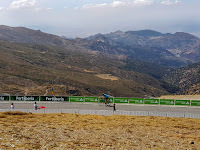 Pro cycling teams also use Granada and the Sierra Nevada as a base for training due to the good weather and high altitude climbing, and most years we see Peter Sagan and his Bora Hasgrohne team and current world champion Alejandro Valverde and his Movistar riders riding up and down and the surrounding area. Sierra Nevada means “snowy mountain”, and the first expected snowfall comes in time for Halloween and turns the mountain into a winter wonderland under cobalt blue skies. On a clear day you can even see Africa from the top. Considered a national park since 1998 (there is only one other in Andalucía) due to its diversity of plant, bird and animal life, it is so easily accessible from Granada that it is amazing to think that only moments ago you were stuck in a city as you head up towards heaven. One of the most interesting, but tough, cycling routes to the summit (there are a few) is to follow a stretch of roads east out of Granada towards Monachil, and just head up towards the “Hors Category”, or “Especial” in Spanish, climb that literally takes you to touch the sky. Year after year the La Vuelta race organizers have made the route super difficult that it is almost inhumane! So to really enjoy the suffering the Pro riders have on this granddaddy of Spain, cycle up the Sierra Nevada via the steep Monachil slopes. 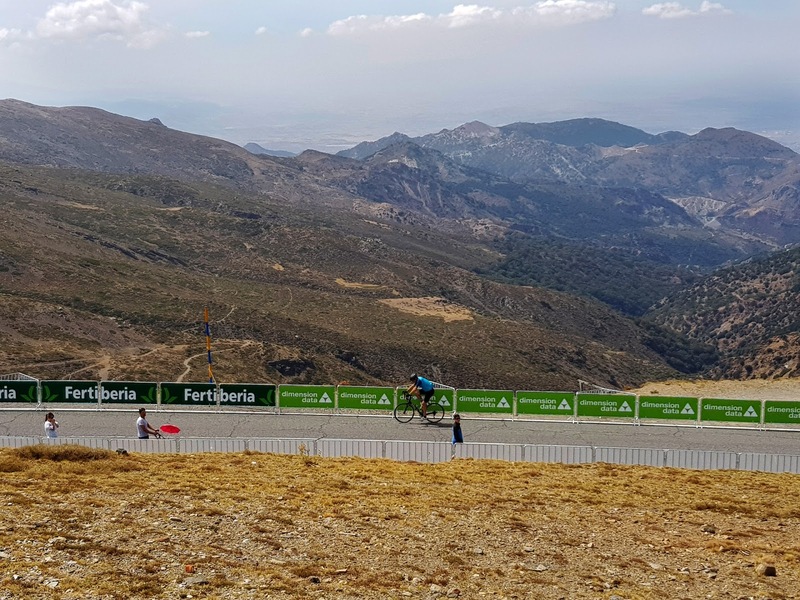 The total distance of the climb to the top is 30km but it can really be classed as 2 climbs – Monachil to Alto de Purche and then to the Alto Hoya de la Mora. Then of course, if weather and time permits, continue onto Pico del Veleta for another 10km of climbing! 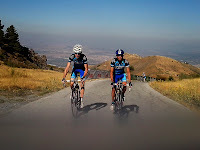 The climb via Monachil is a Granada cyclist’s training ground for a tough climb as it lies only 8 km from the city and offers some handlebar gripping territory - you will see the asthma inhalers scattered roadside! The old village, often referred to as Monachil Pueblo, dates back to Moorish times and the name itself comes from Arabic (monastir), a word of Latin origin meaning "monastery”. You will surely be praying that you will get up some of these steep ramps as the 8.5km climb averages 8%, but has parts hitting 12%. Great views are to be had as you cycle higher, looking across to the mountain scenery. It has been used as a climb 6 times previously in La Vuelta (2004, 2006, 2007, 2009, 2013 and 2017). Many a race has been lost or changed on it with intensity and drama. In 2004 Monachil saw the exciting battle between Valverde and Heras, where Heras slipped past him on a corner Valverde took just a little too wide. However, in this battle of wits, it was a surprise winner Santiago Perez who won this tricky stage in 2004 and dedicated it to his girlfriend who had been killed in a car accident. In 2009, Monachil became famous as the place where Cadel Evans lost La Vuelta as he punctured near the top of the climb and lost over a minute waiting for a wheel change. 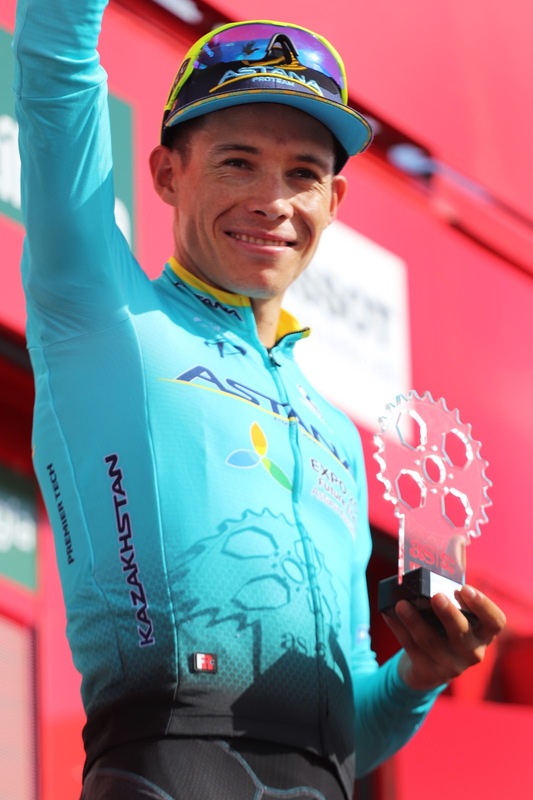 2013 saw Monachil used as the penultimate climb before the stage finish at the top of the crazily steep Hazallanas climb (ramps of 22%) where the American rider Chris Horner won the stage and then La Vuelta that year. 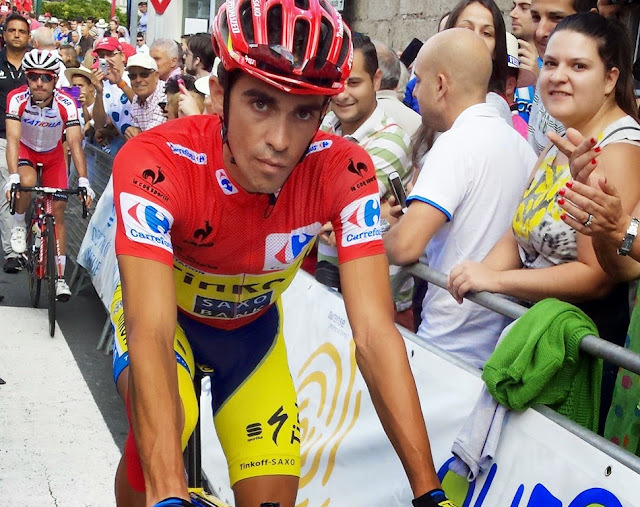 In 2017, La Vuelta saw “Superman” Lopez battling with Alberto Contador up the Hazallanas and Monachil ramps to win the stage at the top of Alto Hoya de la Mora. There is never a dull moment in this area’s climbing history! 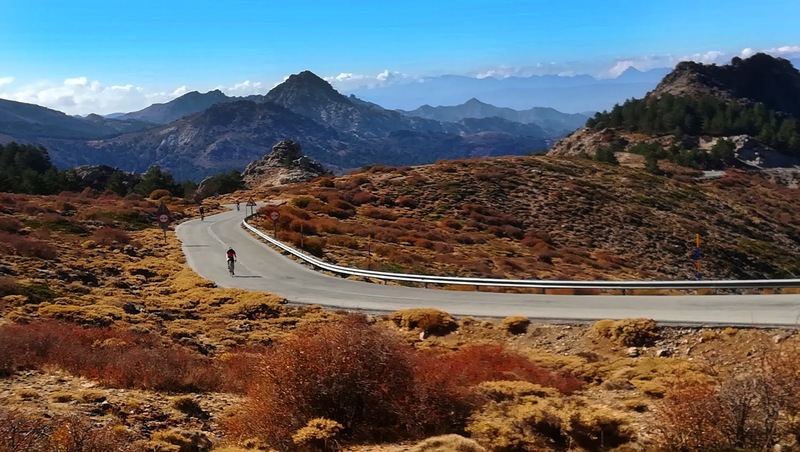 Our Sierra Nevada Road Bike Tour is a fixed based trip from a central Granada hotel and takes you on 4 (or you can customise the number of days) varied, scenic and challenging loop rides on excellent roads carefully chosen using our local knowledge. Our guides are from Granada and these are their regular cycling roads. As a final test on the last day of riding, you ascend the Pico del Veleta and who knows, you might even get lucky and spot someone famous from the Pro teams out training. 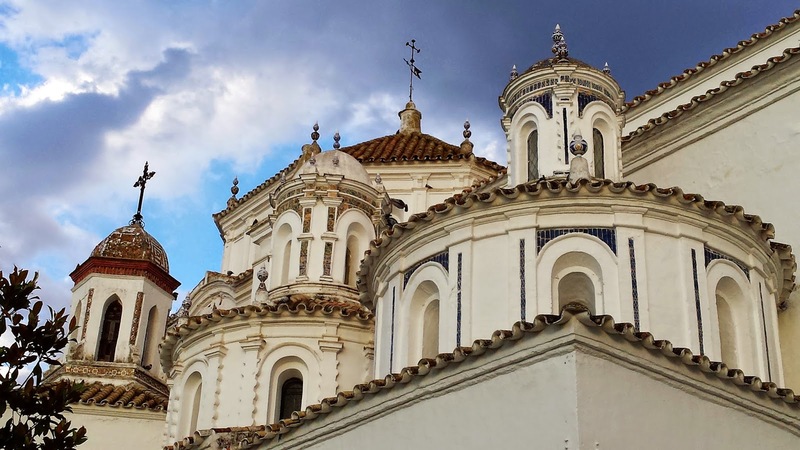 If you want to tick off all the famous climbs of Southern Spain, including those in the Sierra Nevada, try our A to B Famous Vuelta Climbs Cycling Tour which picks up in Málaga and heads to highs of Granada. This tour allows you to ascend all the most challenging and exciting climbs in Southern Spain that have been frequently used in La Vuelta over the last few years. One for the bucket-list! And those of you on a self-guided tour such as the White Villages or Quiet Paths that come to Granada, plan for an extra day and we will provide you with route notes and gps files to ride the mighty Pico del Veleta in the Sierra Nevada. Afterwards come back down to earth (did we mention the 40km descent??!) and enjoy a beer with the great Spanish tradition of tapas (still free with your drink in Granada)!